The Interceptor last appeared in the U.S. in 2009, but Honda continued to offer in other markets. 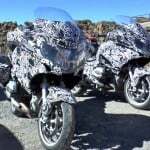 At EICMA, Honda announced a number of significant updates which we will soon see here with the Interceptor’s return. 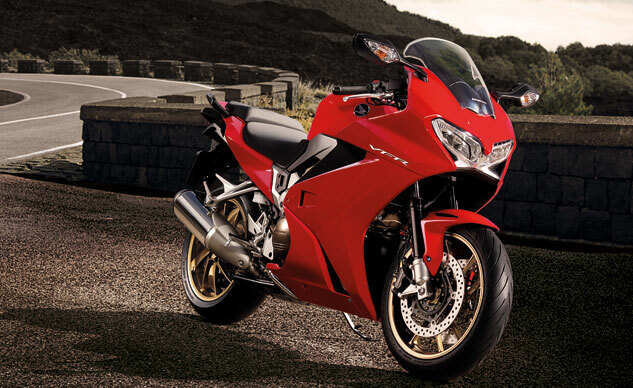 Powering the VFR is a 782cc 90-degree V-4 VTEC engine. 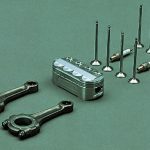 Honda’s VTEC technology operates two valves per cylinder at low rpms but when the revs get higher, the engine uses four valves per cylinder. Honda claims the technology produces stronger low-end and mid-range horsepower and torque without sacrifice top-end performance. American Honda did not release any performance figures, but at EICMA, Honda claimed the VFR800F produced 104.5 hp at 10,250 rpm and 55.4 ft-lbs. of torque at 8,500 rpm. The Interceptor is equipped with a new single-sided swingarm offering 4.7 inches of travel and a 43mm telescopic fork with 4.3 inches travel. Braking power is supplied by dual radial-mount four-piston clippers with floating 310mm discs up front and a 256mm rear disc brake. 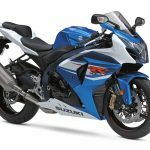 American Honda is also offering a Deluxe variant which adds a spring preload and rebound damping adjustable fork and an anti-lock braking system. 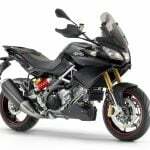 The Interceptor Deluxe also comes with traction control, self-cancelling turn signals, heated grips and a center stand. 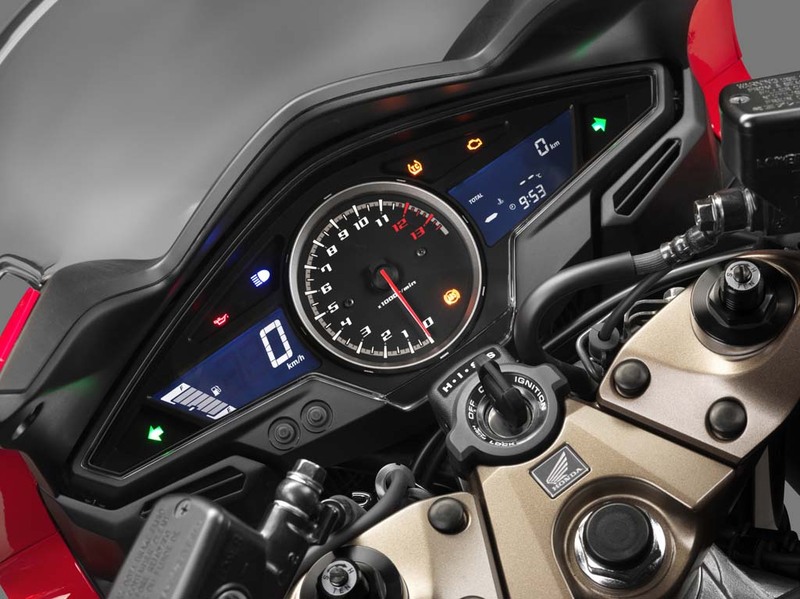 Other features for both the regular and Deluxe Interceptors include LED headlight and taillights, 5.2-gallon fuel tank, adjustable seat height, an upright riding position and 10-spoke wheels. 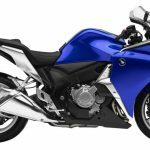 Honda claims the Interceptor carries a curb weight of 529 pounds while the Interceptor Deluxe is slightly heavier at 536 pounds. The 2014 Honda Interceptor is priced at $12,499 while the Interceptor Deluxe is priced at $13,499. American Honda will offer it in Red and Pearl White. 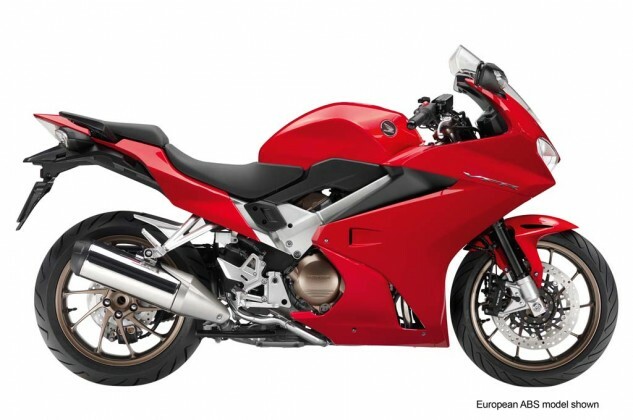 Expect to see the VFR800F in U.S. showrooms in May.